Do you thrive in solving ambiguous problems? Do you love to invent and simplify? Do you want to grow your skills and help us protect earth’s largest catalog from fraud? If so, the Automated Brand Protection (ABP) & Gating team is looking for people just like you! The ABP team is at the core of Brand Registry and our vision is to provide Brands with the most trusted experience for accurately representing and protecting their Brand Identity. You will be joining a team of highly motivated, incredibly talented individuals building state of the art, innovative solutions around fraud detection in the Amazon catalog. With us, you will be building highly distributed, cutting-edge applications and services that are able to detect IP and trademark infringements on the catalog in near realtime. We are looking for a talented, experienced Software Development Engineer to become part of Amazon’s growing Brand protection narrative. 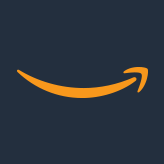 You will be creating history as you become part of the vanguard building low latency, high throughput systems to safeguard the Amazon catalog from fraud and deliver a superior, unsurpassed experience for our customers. Candidate must be able to work with a minimum of technical supervision and supplemental engineering support, while responding efficiently to multiple program priorities. · Ability to work in a fast-paced and agile development environment. · Familiarity with Unix/Linux development environment. · Should be genuinely excited about technology, have a strong interest in learning about and playing with latest technologies. · Must be a self-starter and motivated. · Strong knowledge of data structure, algorithms, distributed systems and asynchronous architectures.